Gluten free Uganda – take two! I’m still having withdrawal symptoms from my time in Uganda – it was my third visit to the Kira Farm project (see previous trip here), run by Amigos Worldwide, and every time I go it just feels like returning home. 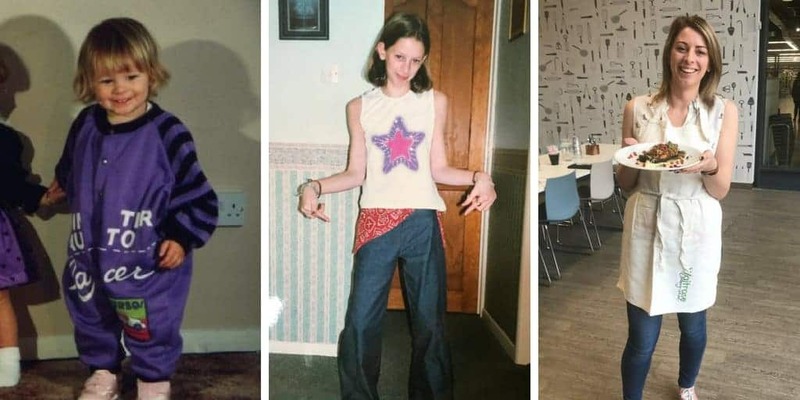 The staff at Kira have always been really great with my diet – Mary and Alice make me my own rice when the others eat pasta, but generally the food is naturally gluten free. The main staples in Uganda are rice, matoke (a type of green banana), maize, potatoes and sweet potato, so not much gluten in sight! As I blogged about previously, I was well prepared for my trip. 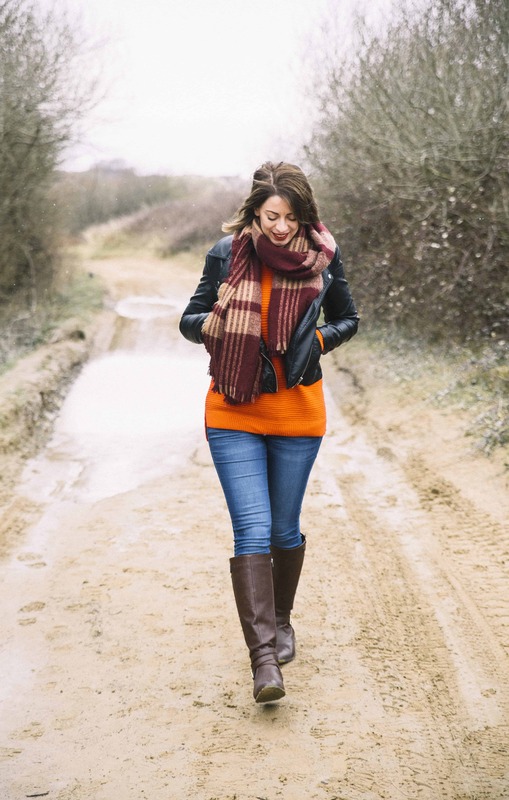 I stocked up on Quest bars – an absolute saviour when we went on long journeys. Some days we would be driving for ten hours, and knowing I could have this protein and fibre rich (and sugar free!) snack while the others scoffed a chapatti was great. British Airways provide a fairly mediocre gluten free meal. 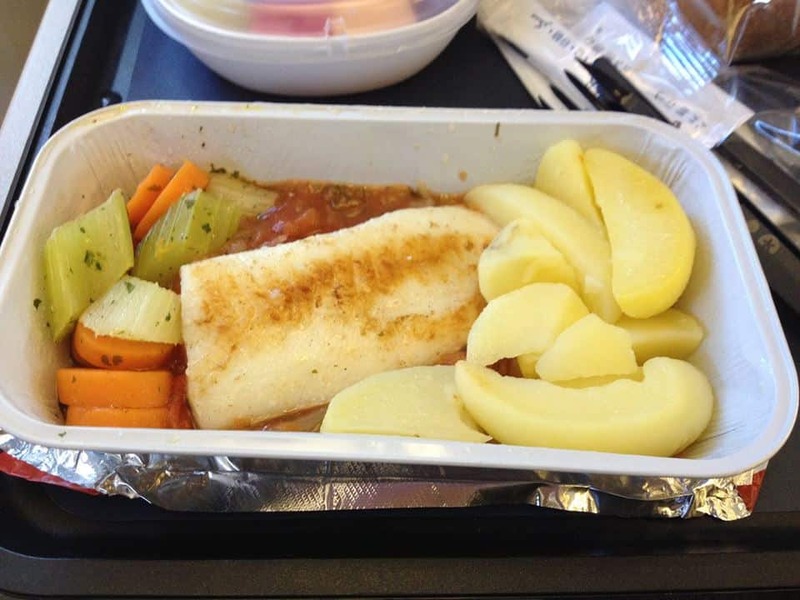 The flight out wasn’t too bad – a nice fillet of tilapia with potatoes and a tomato and fennel sauce. 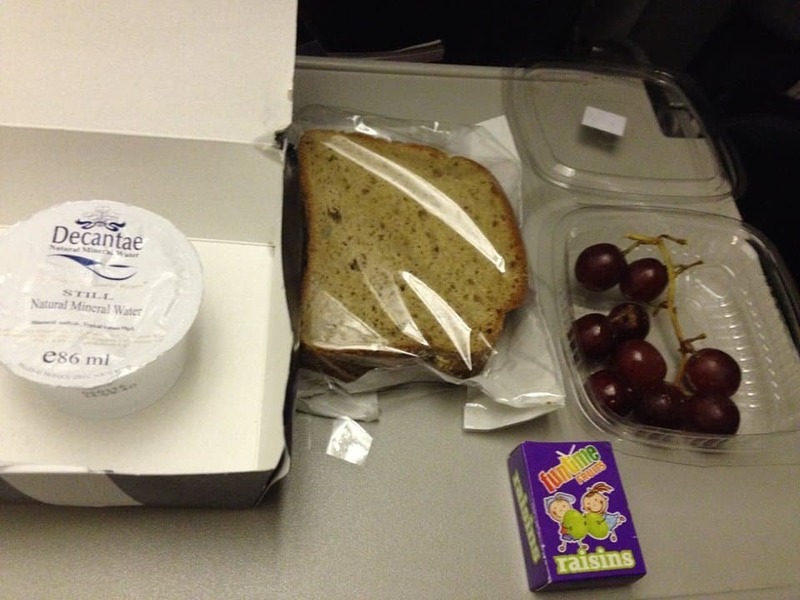 I got a bread roll from Bfree – the best I’ve ever had on a flight – which I saved for my breakfast the following day! Pudding was fruit salad, but it was fresh and tasty. I also had a chicken breast with wholegrain mustard sandwich on gluten free bread for my second meal, which was a pleasant surprise. The flight back was not so impressive. Dry and rubbery chicken, no bread roll (though I did get the butter!?) and more fruit. While everyone else had a nice breakfast with a muffin, yoghurt, bread and fruit, I got three slices of fruit and a weird, artificial tasting yoghurt. I assume it was gluten free – the writing was all Arabic. Not so impressive. The food at Kira Farm is always delicious. My poor stomach was not used to the sheer volume of carbs, but it didn’t take long for me to adjust! Spiced mince, chicken curry, fried Nile perch with chips, stir fried cabbage and peas in a tomato sauce were all some of the yummy meals I ate. 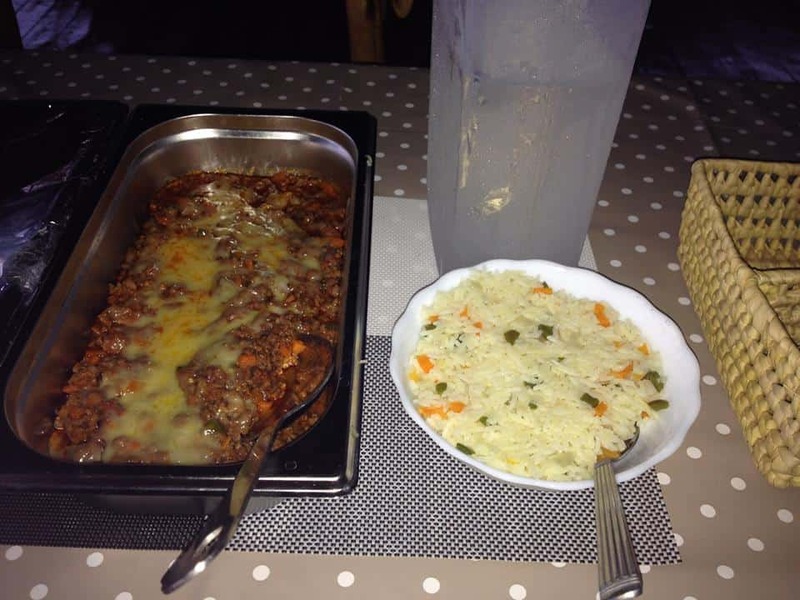 Tasty mince and my very own rice! All this, plus the freshest, most amazing tasting water melon and pineapple after every meal. It was heavenly! I visited a few different places during my stay. 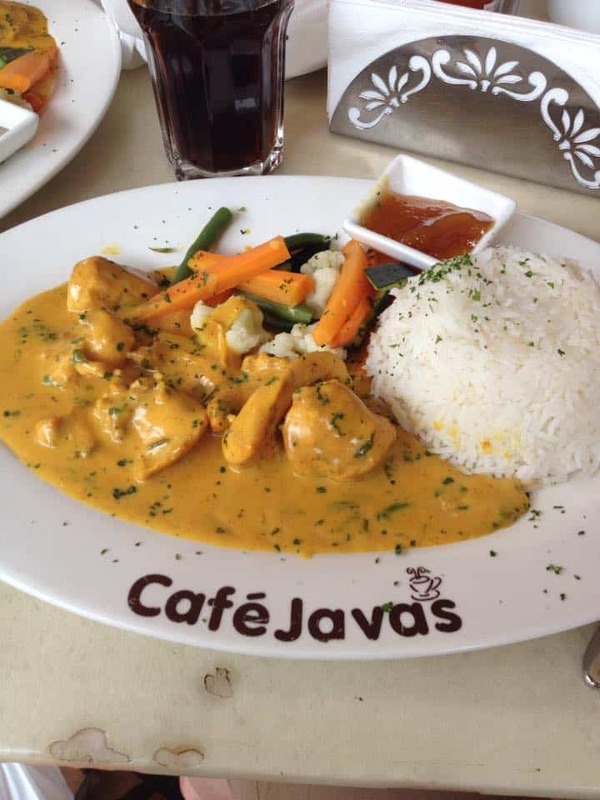 Firstly, Java’s in Kampala, where I had an incredible chicken korma. Creamy, coconutty, and accompanied by deliciously tasty rice. I also had a ginger and cardamom cappuccino – this was incredible! The intense spices worked so well with the coffee, this is something I will try to recreate. In Masindi town we stayed at New Court View Guest House, where I found it easy to get a good meal without a hint of gluten. 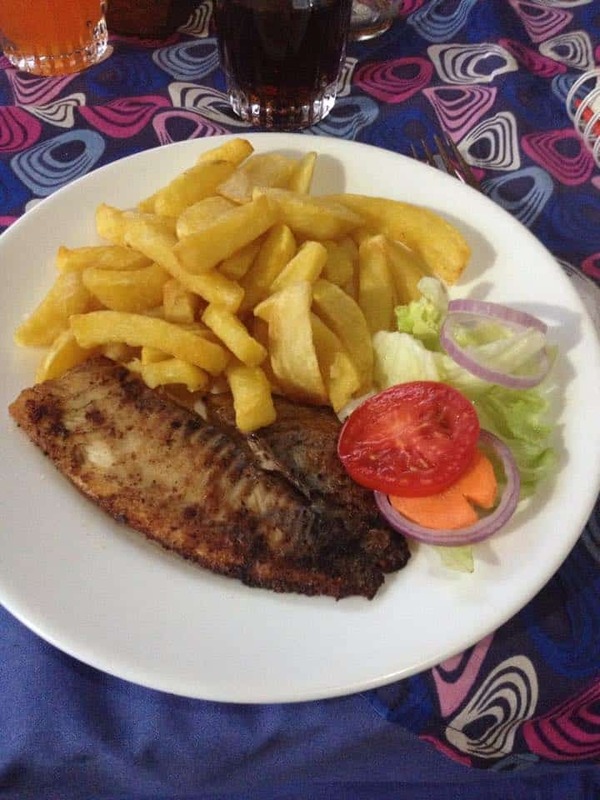 I had a fillet of tilapia pan fried with garlic, served with chips for dinner. For breakfast was a Spanish omelette, ready for a long day of travelling and visiting sponsored children. During our safari in Murchison National Park, we stayed at Pakuba Lodge – such a beautiful place! The original hotel was bombed during Idi Amin’s rule, and this is a new lodge which is situated a few miles away. The views over the Nile were astounding, the rooms were clean and spacious, and the food was great! Our waiter, Tom, was the loveliest man – he came out with the menu and took our order when we arrived so our dinner would be waiting for us. I opted for pumpkin soup for starter, steak and chips for the main and fruit salad for dessert. Look at all that steak! 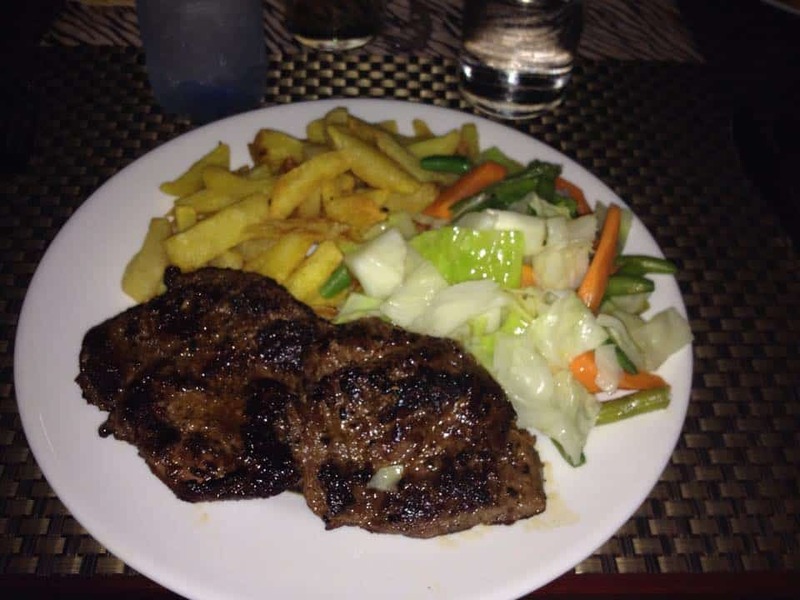 I was dubious about the steak – sometimes African meat isn’t the nicest – but it was delicious! It was really tender – two great big slabs of meat and a pile of chips. Breakfast was omelette again with fried potatoes, and because I couldn’t eat sandwiches, Tom also arranged for me to have grilled chicken, boiled eggs and potatoes to take with me. I feasted like a king that lunchtime!